Branko Marjanovic lives and works in Calgary, Alberta. His passion for art has always been a driving force in his life. In his earlier years, he painted only for friends and relatives but is now living the vision of life that he has always dreamed of. During these early years, Branko was exploring art with the use of oils and watercolour, while his current preference is to work with acrylics. With the combination of a background as an Engineer/Geologist, Branko's art displays both sound design and free flow. 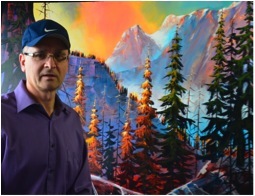 Born in Europe in 1960, Branko immigrated to Canada in 1993, settling in Saskatoon. 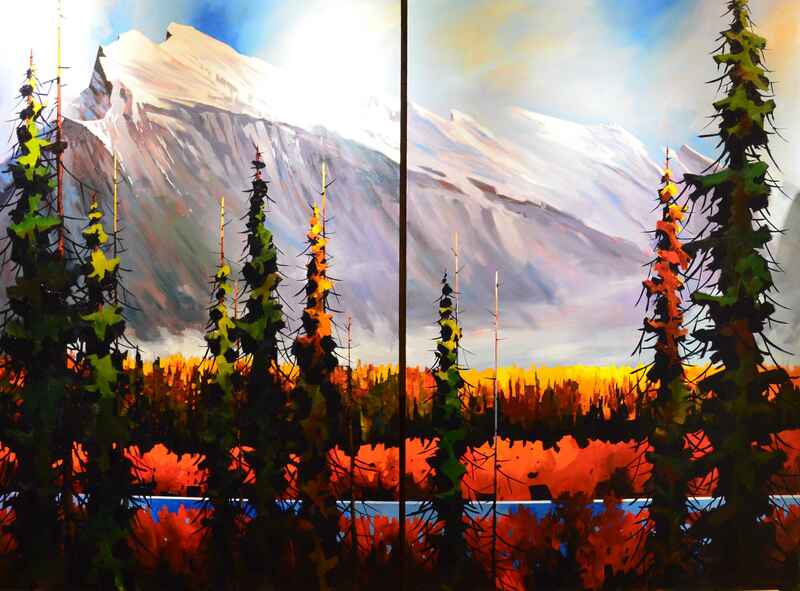 He moved to Calgary in 1999 and was immediately fascinated by the Canadian Rockies - landscapes he captures in his distinctive style and palette. Being an artist for over 20 years, he continues to evolve; however he has never lost the originality he displayed in his earlier years as a self-taught artist. Branko spends his summer weekends and holidays hiking in the mountains where he photographs, sketches and paints. "Painting is not work to me - it is something I become absorbed in. I am fascinated by the effect of the light and shade found in nature. Although I take photographs and sketches of the subject matter I paint, I do not allow them to control me. Art should not be a copy of a photographic image but the mood and impression of the subject. In this regard, I prefer a good pencil sketch as I find that it captures the basic elements and provides better composition than a photograph." Thank you for your appreciation of my artwork. I am living the dream.